for $599,000. The lot size is 0.15 Acre(s). READY TO ISSUE Building Permits, shovel ready project with a possible high profit margins for a resale after completion of construction. This is a fully entitled lot in Hollywood hills Beachwood Canyon area. City approval for a 2-story, 3/bedroom, 3.5/bath, 2, 821 square foot of building area, includes a 306.SF-4 car detached garage. One-of-a-kind, Modern Architecture in Hollywood Hills. Sharp lines create this masterpiece perched atop project site, large front porch entrance area and a huge entreating open deck. Easy access to the iconic Hollywood corridor. 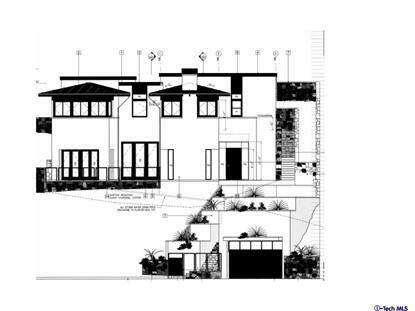 All architectural, engineering and related costs associated with the plans have been fully paid by property owner. Please contact broker for any additional information.